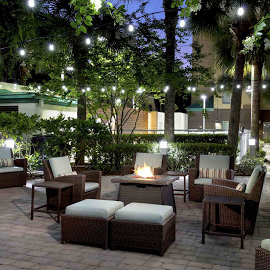 We are located in beautiful and sunny Orlando, Florida. With over 35 million visitors each year, Orlando, Florida is one of the world’s most popular travel destinations. Located in central Florida in Orange County, all of the many attractions, beaches, and events make the Orlando area a great place to visit and live. Orlando’s history dates back to 1838 and the Seminole Wars. The city’s roots go back to the construction of the U.S. Army’s Fort Gatlin, where civilians settled nearby. The Orlando area is home to many international tourist attractions, including Walt Disney World, Disney-MGM Studios, Epcot, Disney’s Animal Kingdom, Universal Studios Florida, Universal Studios Islands of Adventure, and Sea World of Orlando. Aside from tourism, this tropical paradise boasts incredible golf courses, perfect weather, and easy accessibility to the coast and other tourist destinations in the state. Orange County is home to the expansive Orlando Regional Healthcare Network and The Florida Hospital HealthCare System, two of America’s most comprehensive private, not-for-profit healthcare networks. With state-of-the-art facilities, advanced medical treatments and procedures, and highly qualified staff, these hospital systems have distinguished themselves as healthcare leaders for two million Central Florida residents and 6,000 international visitors annually. The Serrão Rejuvenation Center is proud to be located in such a wonderful city. The Serrão Rejuvenation Center has made arrangements with several hotels that are conveniently located near our office and surgical facility. There are restaurants from fast food to fine dining within walking distance of all of these hotels. Many of them will deliver to your hotel room. We will be glad to make recommendations and assist you in any way possible to make your stay and recovery period as comfortable as possible. If you are flying in just for the day for a consultation, call the office and we will arrange to pick you up at the airport. Otherwise, various rental car and limousine services are available from the airport. We have an excellent and experience registered nurse who will stay with you overnight or on an hourly basis. Please contact our office for fees and arrangements. The Serrão Rejuvenation Center has made arrangements for many patients from all over the world. It will be our pleasure to assist you in any way that we can. We want your experience to be one of comfort, rejuvenation, and healing.